JM Financial is one of the most eminent financial service providers in India who have been assisting the financially engaging organizations and individuals across the nation with a horde of services since many decades. Today, we will review them on many parameters such as their products, services, brokerage and other relevant charges, permanent or occasional offers, and, most definitely, the usability and efficiency of all the trading platforms they have to offer to their respective clients, both, physical (offline) as well as remote (online). JM Financial’s origins can be traced back to the year 1986 that is, the year of its foundation by Mr.Nimesh Kampani within Mumbai, Maharashtra. Ever since its foundation, the company has actively served to help high net worth individual, national and international corporations, retail investors and financial institutions with a wide spectrum of products and services. The company has quite evidently proven its worth within the national as well as international markets and has rather become a celebrated one at that, which can be easily established by the plethora of awards it has been bestowed up on since decades. The company typically boasts of having a humongous roster of professionals each with their unique talents, expertise and skill sets, who when grouped together, form a formidable team capable of devising as well as executing financially superior plans, thereby gaining trust as well as gigantic profits for its clients. The table as mentioned above is meant to portray the exact format of all the charges as imposed up on the registered clients of JM Financial in regards to brokerage. Carefully observing the above table will let you understand that JM Financial charges 0.5 % – 0.15 % on the total value of Equity Delivery Trading, 0.05 % – 0.015 % on the total value of Equity Intraday Trading, Equity Futures Trading and Currency Futures Trading respectively and a sum of Rs. 75 – Rs. 200 per lot on the total value of Currency Options Trading and Equity Options Trading respectively. They also charge a sum of Rs. 299 per annum in regards to annual maintenance charge for Demat Accounts and have made it mandatory for their registered client to maintain a minimum balance of Rs. 15,000 corresponding to Margin Money. The table as presented above gives out a very clear definition of all the brokerage related charges as imposed by JM Financial. However, you can still get the exact brokerage charge for all your investment plans by using their dedicated brokerage calculator. The JM Financial Brokerage Calculator is capable enough to calculate the applicable brokerage for all asset classes including Equity Intraday, Equity Futures, Equity Delivery, Currency Futures, Equity Options, Currency Options and Commodity. 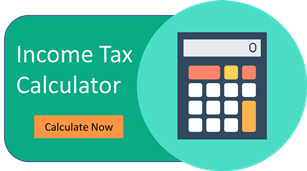 Moreover, it can help you to get a detailed description of all other relevant charges that may be applicable on transaction, Securities Transaction Tax, Stamp Duty, SEBI turnover charges as well as GST. As can be easily concluded by simply observing the aforementioned chart, JM Financial implies a charge of 0.0325 % of the total turnover in terms of transaction charge, 0.0126 % of the total turnover in terms of Securities Transaction Tax. Along with this they charge 0.0002 % of the total turnover in terms of SEBI Turnover Charges and 18 % in terms of GST on the overall sum of the brokerage and transaction charges. Apart from these, they also impose a minimal and variable amount in terms of Stamp Duty as per the state boundaries and regulations. JM Financial has been actively serving the nationwide clients for more than thirty years and has always welcomed all to become a part of the company by simply registering themselves as traders. In fact, you too can become a registered trader with them by simply depositing an amount of Rs. 799 in order for opening up a Demat or Trading Account, and an amount of Rs. 299 per annum in order for annual maintenance of your Demat account. However, you do not need to pay anything in order for the company to maintain your Trading Account. Nevertheless, you must maintain a minimum balance of Rs. 15,000 as your margin Money so as to continue using all services from the company without any obstacle whatsoever. Albeit, you must deposit all the charges through CDSL only. As can be easily speculated from the table mentioned above, JM Financial do extend some good offers for their registered clients in terms of opening a Free Demat Account, Free Trading Account, Discount on Overall Brokerage Charges as well as Flexible Brokerage Charges. Nonetheless, they do not give out any offers whatsoever that are related to Trading Happy Hours One Month Worth of Free Brokerage over Trading, Holiday related Offers, Referral Offers or Zero Brokerage Charges for the Loss Making Trades. How to open demat account with JM Financial? Click on the green ‘Open Demat Account’ button as mentioned underneath. Read the whole form carefully as soon as it pops up on your computer screen. Fill the entire form very carefully, thus providing your correct details. Upload all the relevant and mandatory documents as asked in order to complete the KYC procedure. This step will require you to have Aadhar Card, PAN Card, Age Proof, Identity Proof, Address Proof and a photograph. You will get a call from one of the authorized personnel on behalf of JM Financial as soon as you complete the JYC procedure in order for the last set of verifications. As soon as the final verification gets concluded, you will be granted complete access to your Demat or Trading Account, all within a matter of a few hours. Why Open JM Financial Trading Account? Indian law and order holds it mandatory to have a Demat or a Trading Account for anyone who wants to trade within the equity or derivatives segment of the financial trading industry in India. They are amongst one of the oldest and reputed firms in India dealing with financial trading services with over three decades of experience. The broking house have recognized as a brilliant financial services provider by many national and international organizations and have some of the most celebrated awards like UTI & CNBC, 2015 (Best Performing National Financial Advisor – Institutional), SKOCH BSE Award For Aspiring India, 2015 (Highest Independent Honour In India), NSE Certificate of Appreciation, 2016 (Recognized by NSE amongst the Top 10 Performers in Cash Segment for the year 2105-16), Banking Financial Services and Insurance Awards 2019 presented by ET NOW and many more. They truly are your one stop solution to all sort of equity and derivative trading you can think of within the Indian market. As can be well speculated by looking into the chart mentioned above, JM Financial exclusively provides superb and active support in relation to a lot of financial products such as Equity Trading, Commodity Trading, Currency Trading, Options Trading, Futures Trading, Mutual Funds, Systematic Investment Plans, Forex Trading as well as Insurances. In short, the only financial product that J M financial does not extend their help or support for is typical banking. As you can clearly understand from the table that has been mentioned above, JM Financial offers a great deal of support in terms of Demat Services, Trading Services, Intraday Services, Initial Public Offering Services, Stock Recommendations as well as Portfolio Management Services, all with up to seven times the exposure on trading. JM Financial undoubtedly provides the best support in terms of research and advisory throughout the entire nation. The above mentioned table clearly states that they provide extensive support in terms of Fundamental Reports, Research Reports, Company Stock Overviews, Free Stock Tips, Top Picks, Monthly Reports, Weekly Reports, Dedicated Relationship Manager, Company Reports, Annual Reports, Initial Public Offering Reports, Daily Market Reviews and even Offline Advisory of all sort. The above mentioned table has been enlisted so as to give you a clear description of the kind of exposure JM Financial has to offer to their registered clients. As you can easily conclude, they offer a leveraged exposure of up to seven times on Equity Intraday Trading, up to two times exposure on Equity Futures Trading and Commodities Trading, up to four times exposure on Equity Options Trading and up to three times the exposure on Currency Futures and Currency Options Trading. However. You must also acknowledge that they do not provide any leverage on Equity Delivery Trading. There is absolutely no chance that the aforementioned table has been unable to explain you of the kind of leverage and exposure the company will provide you. However, you may still use the JM Financial Margin calculator in order to get the exact predictions on the kind of exposure you can get on your next trade along different segments such as Intraday, F & O, Commodities, Currency and Delivery. This tool can also help you to calculate the margin funding as well as the total number of extra share that can be bought with the help of the additional leverage provided by the company. JM Financial has been proactively serving the traders across the country with a literally wide spectrum of financial services for well over three decades. And a larger part of the credit to their success goes to their presence across online as well as remote trading platforms. They have typically developed a series of remote trading platforms cumulatively called SMART to be used within different devices like desktop, mobile, browser and tablet. JM Financial have developed their own dedicated desktop based trading platform under their SMART initiative. The terminal based trading software is, in fact, a good one and gies close completion to NSE’s NEST in terms of stability. Ability to integrate market watch at ones will. With the ability to create multiple profiles within the same device for usage by separate entities. Ability to trade in multiple classes all at the same time, with real time monitoring abilities. With the ability to access multiple exchanges all at the same time, thereby giving the users a rather increased exposure to qualitative as well as quantitative trading. Ability to instantly transmit buy and sell requests to exchanges. With the ability to view Stocks, Funds and Net Position in real time across various exchanges as well as indices. Ability to customize watch lists in accordance to one’s own requirements and specifications. With the ability to look up for real time information about scrips as well as contracts. Ability to place requests for funds transfers with leading banks with relative ease. With the ability to view Top Gainers and Losers across different exchanges as well as indices. Ability to seamlessly connect to Research and Operational reports for better trade insights. With the ability to bring into use the option calculator as a trading tools. With the ability to monitor the movement of the stocks with basic charting features. Ability to access advanced technical charting tools for better analytical purposes. With the ability to set alerts. Ability to view the most active securities. Integrated Market Watch functionality for easy access to all active trades in real time. Ability to create multiple profiles within the same device for usage by separate entities. With the ability to trade in multiple classes all at the same time, with real time monitoring abilities. Ability to access multiple exchanges all at the same time, thereby giving the users a rather increased exposure to qualitative as well as quantitative trading. With the ability to instantly transmit buy and sell requests to exchanges. Ability to view Stocks, Funds and Net Position in real time across various exchanges as well as indices. With the ability to customize watch lists in accordance to one’s own requirements and specifications. Ability to look up for real time information about scrips as well as contracts. With the ability to place requests for funds transfers with leading banks with relative ease. Ability to view Top Gainers and Losers across different exchanges as well as indices. With the ability to seamlessly connect to Research and Operational reports for better trade insights. Ability to bring into use the option calculator as a trading tools. JM Financial’s remote trading platform meant for usage with browsers is known as Blinktrade Web and has also been developed under the SMART initiative by the company. The remote trading platform JM Financial offers for usage with tablets is known as SMART Tablet and has also been developed under the SMART initiative by the company. Even this piece of software resembles the same features as that of the other three counterparts meant for browser, desktop and mobile based platforms respectively. Although a hugely recognized financial service provider, JM Financial has got only fifty different branches spread out throughout the nation providing support related to Dedicated Dealer, Offline Trading, Online Trading and Email Support. However, like most of the other financial service providers, even they do not provide any support in terms of 24 * 7 support, Chat Support or a Toll Free Number. As you can conclude by looking at the table mentioned above, JM Financial received a total of five complaints against them in the BSE last year while a total of seven complaints against them were registered within the NSE. Nevertheless, all the complaints were resolved within the same financial year, thereby, making the percentage of the total number of complaints against them to that of their total active clients only 0.02%. Looking at almost a flawless record of serving the traders for over three decades and the celebrated awards that JM Financial has been bestowed with, it is hard to find any flaws in them. Their Android based app is not the best out there and requires some serious makeover. They require the traders to maintain a minimum of Rs. 15,000 balance in terms of Margin Money. JM Financial have proven their worth with every action they’ve taken and every appreciation they’ve been garnered with. They are quite deservingly amongst the top financial service providers of the nation and definitely a trusted one for that matter.